“Allah ke naam pe dede baba” (Give in the name of God), “Do din se bhukha hoon, kuch dedo” (Haven't eaten anything since the last two days, give me some money) are the two most common pleas heard on the roads of Delhi. Delhiites are used to such lines, and have developed an immunity to them; it’s the travellers who fall prey to the creative tactics of the beggars and part with a good sum of money in their acts of philanthropy! Hence, it's very essential to learn 'Beggar Management' before anything else. Here are a few tips based on real-life experiences to help you out on the roads of Delhi. If you're in a cab or car, keep the windows rolled up, especially when halted near the traffic lights. Each traffic signal has its share of appointed beggars who swarm to each car to generate their revenue. Ignore and steer clear of any eye contact which may prolong their stay. Giving money should be your last option, as on doing so the whole clan will come running to you in a fraction of a second to get more money out of you! You might be very generous, but do not let your generosity get the better of you! Cases have been reported where people have found their expensive phones, money and jewellery stolen while helping out a beggar. Hence, be careful and alert while travelling in Delhi; they look out for vulnerable and innocent targets! Other hunting grounds for beggars are crowded places like temples, historical monuments, shopping complexes, malls, eating joints etc. 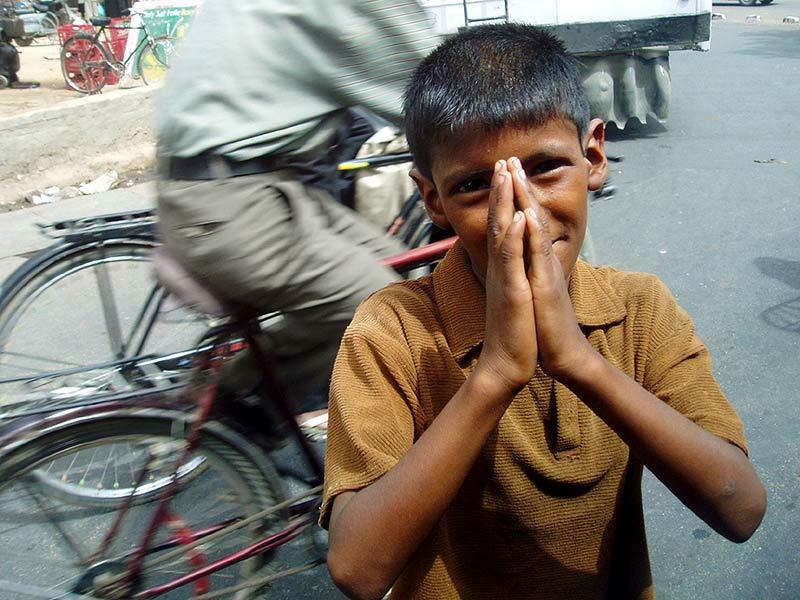 Do not offer anything to the beggars, else it will result in an embarrassing situation where a mob of beggars will be hanging onto your arms and feet, literally begging for more. Be stern and keep an eye on your wallets. You might feel overwhelmed with compassion when you see a leper, a pregnant woman or an anxious mother carrying her naked child, but in reality, they are the greatest actors of our country and hence lamentably fake. These dramatizations help them get your attention; your sympathy and large amounts of money in one go. However, please note that the money you give them goes to the local thugs (thieves) who in turn use it for funding illegal acts. If interested in learning more, watch the movie 'Traffic Signal' directed by Madhur Bhandarkar; it's a real eye-opener! 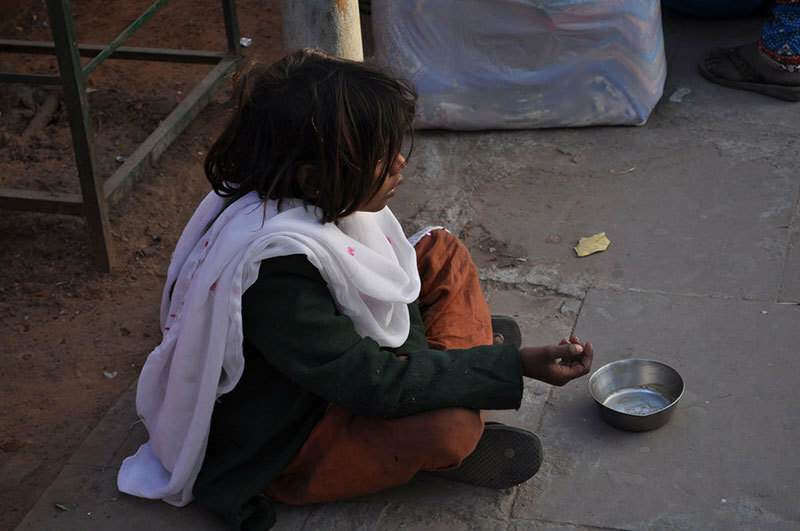 Beggary is prohibited under Indian law, but the tragedy of the situation is that the law remains valid only on paper and is therefore not enforced. Many researchers have found that beggars earn Rs 100 to 500 per day, which is more than a hardworking labourer’s pay, and hence it proves to be an easier and lazier profession to happily adopt! If you want to help the needy and the destitute, reach out to a good charity or an NGO which dedicatedly works to eradicate beggary and make your contribution there, rather than giving money in the wrong hands. Beggary is a socio-economic evil which India has been fighting since decades. Don't perpetuate it. Instead, help to obliterate it!